I was lucky enough to receive an ARC of this book from Bloomsbury Australia--thank you SO much--and as soon as I read the blurb, I couldn't wait to get stuck into it. Vivi Alexander is spending the summer at Verona Cove with her mother. 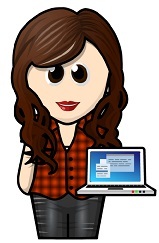 She instantly falls in love with the place and the people who live there. She has a morning routine: walks to the diner, has a random breakfast with the local policeman, goes for a walk, throws a pill into the ocean and heads into work. The morning she meets Jonah and his little sister, Vivi is instantly smitten. Jonah Daniels might be a teenager but he shares an adult's worth of responsibility with his two older siblings. Summer is going to be full of caring for the younger siblings, making sure his mother is taken care of and working at the restaurant. All of this while still grieving the loss of his father. So when he meets Vivi, the whole family gets caught in the whirlwind that is this gorgeous, magical girl. OMG. This book is amazing! I was instantly hooked. I got swept up in Hurricane Vivi as fast and deeply as the Daniels Family. I was charmed by her lust for life and the colourful way in which she looked at the world. She saw beauty in everything, imagined so many future possibilities and had a true heart. Yet, in spite of all this, I knew it would all lead to trouble. Jonah was a lovely and very sad character. He shoulders so much responsibility yet rarely complains. He's kind-hearted, sweet and loyal. He's also struggling with the grief of losing his father and the absence of his mother, and doesn't know how to make the pain stop. Vivi offers a new, vibrant perspective. He never forgets his family's loss, but the distraction is nice. Not to mention how adorable Naomi, Silas, Isaac, Bekah and Leah Daniels are. 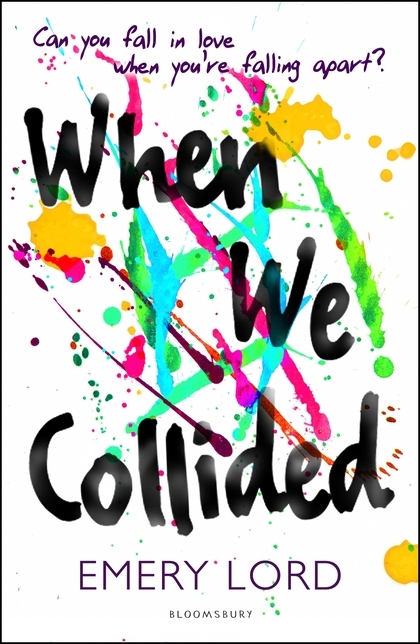 When We Collided is a beautifully written, wonderful, unconventional love story between two teenagers dealing with separate, but just as heartbreaking, mental issues. It's a roller-coaster of emotions, and deals with mental illness in a very raw and honest way. This story takes the reader through all the highs and lows that can eventually lead to very dark places. And in the process, you fall in love with these lovely characters.